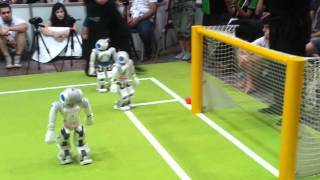 World Top 3 Robots_Asimo vs NAO vs HPR-4! 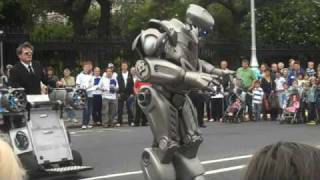 [HD]2013 World's Top 3 Robots_Best Humanoid Robots! 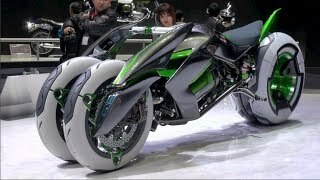 The Honda Motor Company developed ASIMO, which stands for Advanced Step in Innovative Mobility, and is one of the most advanced humanoid robots in the world. According to the ASIMO Web site, ASIMO is the first humanoid robot in the world that can walk independently and climb stairs. 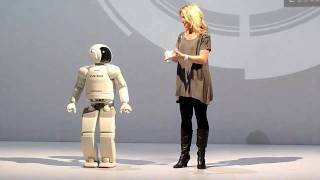 In addition to ASIMO's ability to walk like we do, it can also understand preprogrammed gestures and spoken commands, recognize voices and faces and interface with IC Communication cards. ASIMO has arms and hands so it can do things like turn on light switches, open doors, carry objects, and push carts. HRP-4C was developed by AIST National Institute of Advanced Industrial Science and Technology in Tokyo, Japan. 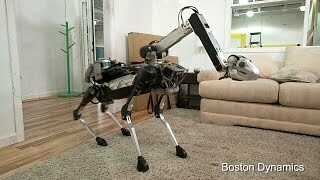 The humanoid robot was unveiled publicly for the first time in March 2009. With a human shape, HRP 4C is 5'2 and 95 lbs. In addition to being able to express certain expressions on his face, the android can have a conversation through a voice recognition module integrated. Now she talks, sings, dances and walks ... we expect the next step. What ? NAO is the most widely used humanoid robot for academic purposes worldwide.It is a versatile platform used to explore a wide variety of research topics in robotics as well as computer science, human-machine interaction, and the social sciences.NAO's many sensors and actuators, convenient size, and attractive appearance, combined with sophisticated embedded software, makes it a unique humanoid robot ideal for many research fields. 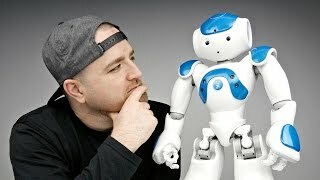 NAO boasts, for example, face and object recognition, automatic speech recognition, text-to-speech in seven languages, and whole body motion.